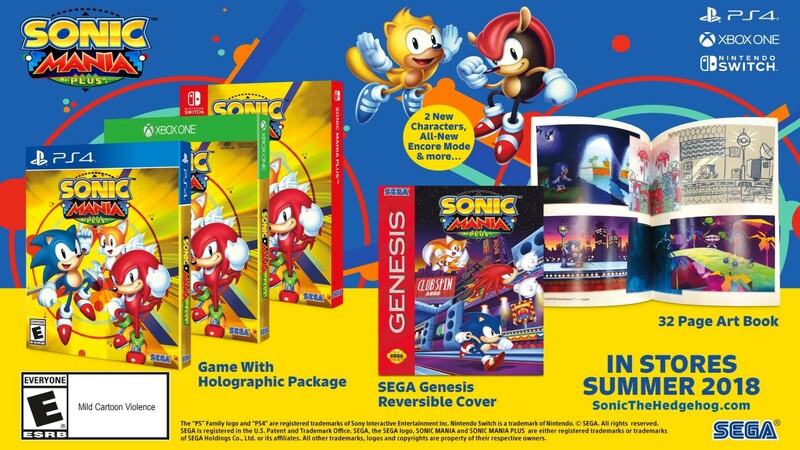 Sonic Mania Plus Coming July 17 as a Physical Release! If you’re a fan of the Sonic games but skipped out on last year’s Sonic Mania because you were hoping for a physical release, then you’re in luck: the game will be receiving a physical release on the PlayStation 4, Xbox One, and Nintendo Switch on July 17, 2018! Mighty the Armadillo and Ray the Flying Squirrel added as playable characters. Angel Island added as a new zone. Competition Mode expanded to allow for up to four players. Encore Mode added, which remixes existing stages and adds new gimmicks. Save and Playback functions for speed runs. Optimized difficulty tweaks for the game’s boss fights. In a way, Sonic Mania feels more like a fourth numbered Sonic game than Sonic the Hedgehog 4 did, so if you missed out on the initial release of this awesome game last year, you don’t have to wait long for the definitive version to hit store shelves!